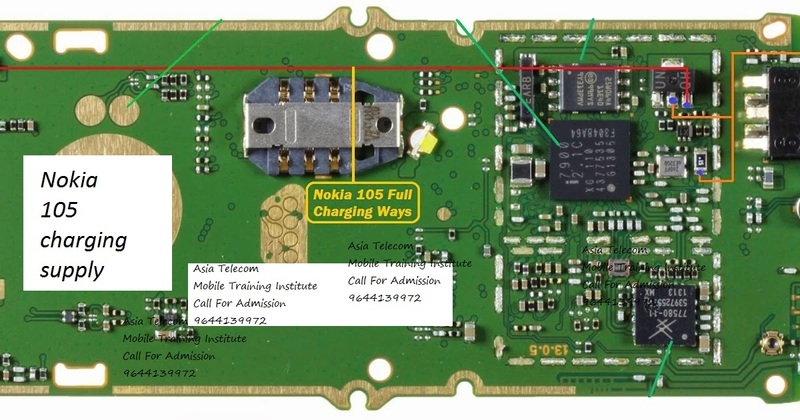 Nokia 105 not charging Today I Am Posting Nokia 105 Charging Problem Solution In This Post. 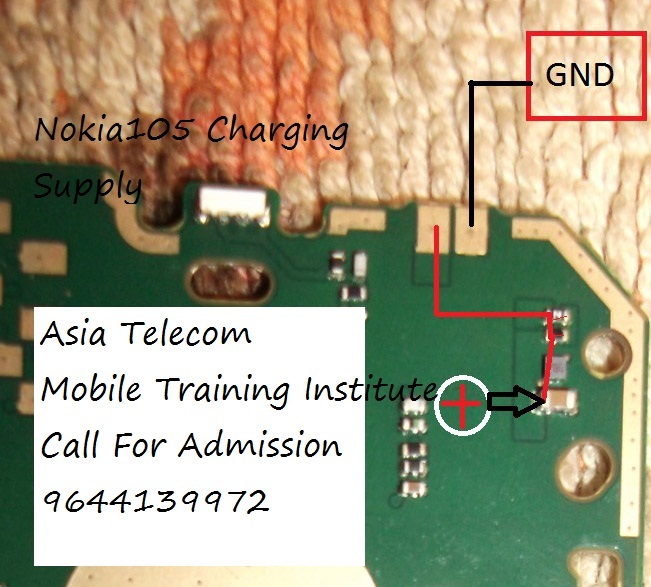 If your phone’s is not charging at all or fake charging consult the diagram below. This solution works on all Nokia 105.
see red points in this diagram. Only make these jumpers if necessary like if any of the prints are busted.